Seleno-Iodide is designed to provide key nutrients for optimal thyroid and breast health. 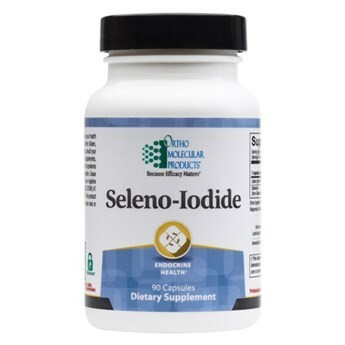 Seleno-Iodide provides a synergistic blend of iodine, along with its trace mineral partner selenium, to help maintain iodine levels and reduce oxidative stress for optimal thyroid and breast health. Seleno-Iodide provides 3 mg of iodine combined with 100 mcg of selenium sourced from SelenoExcell®, a highly bioavailable, organically bound selenium.